Kevin & Taylor’s morning show is a blend of talk and music; you’ll hear about Kevin and Taylor’s lives, how to deal with family and emotional issues, as well as uplifting discussions. 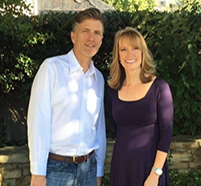 Kevin and Taylor have been recognized with numerous industry awards including Radio and Records Personalities of the Year and “Best Morning Drive Show” by the Atlanta Journal Constitution. Your family friendly station serving Beaufort, Craven, and Pitt Counties. Including Washington, Greenville, New Bern, Belhaven, Winterville, and More!